There is a lot of information to be found here. In the wide LEFT column you will find news stories in chronological order. In the RIGHT column you find various resource groups and links. Scroll down the right to find info by TOPICS. K0BG Mobile Ham site - excellent install and Antenna advice! QRZ.com - a must have for all! Miklor - Great China Radio Info - Baofeng, Wouxon, etc. 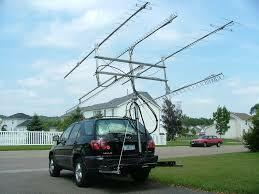 AARA - Albany Amateur Radio Assoc. Please e-mail us at upstateham@gmail.com and we will work to share your information with others. Also, if you have any corrections or comments on what's here, please e-mail us at the e-mail address above. ....and thanks to all the folks who have forwarded on news and information suggestions to us in the past! Fulton Technician Class coming this Fall! Radio Shack revival? ...maybe in Syracuse too? Managing repeater and NET frequencies was a tough problem for me. So I started to keep my notes on frequencies, NET's and Club and Hamfest information here. 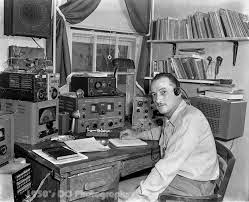 Over time we have added all kinds of information of interest to Upstate NY Radio enthusiasts. I will also try to update old posts with confirmations and updates as I get new information .I have a broad range of interests and love to share much of the cool stuff I stumble across. We will try to post information for Upstate New York from Albany west to Buffalo and from Binghamton north through the 1000 Islands and Adirondacks. You may notice more news from Central and Northern NY (because that's where I live and recreate.....), but we will try to cover as much of the Upstate New York Region as possible. Disclaimer: This is a work in progress! No guarantees to accuracy of information presented here, though we will try our very best! If you choose to reference material found on this site, please clearly mention that you found it at UpstateHam.com. Please leave your suggestions, comments, confirmations and corrections (and of course; send us news about your group or hobby interest for publication). Copyright 2012-2019 . Simple theme. Powered by Blogger.